Do you wish you could increase your children’s motivation to do homework, get ready for school on time or keep their room clean? 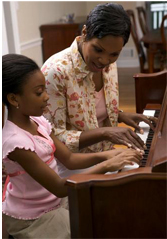 Will the promise of a reward for practicing the piano help your child practice more? Or will the threat of punishment be more effective? When you try to motivate your children to work harder, you often end up feeling frustrated by the results. New research is teasing out some of the key elements around motivation. According to Daniel Pink's book, Drive: The Surprising Truth About What Motivates Us, trying to motivate children using external rewards and punishment is a mistake. The secret for motivating children to high performance lies in encouraging their own internal drive. For example, if you want your child to practice the piano more, asking these questions might help. Pursing a Technology Career - Perfect for Girls!